Is your flat roof constantly needing repairs? Do you find yourself pouring more and more money into it year after year? If so, flat roof replacement in West Mifflin, PA may be a better option for you. Replacement can offer benefits that your current roof doesn’t give you such as being waterproof and energy-efficient. If you suspect that you may need flat roof repairs or replacement, call Capital Coating today at (717) 442-0979 for a free assessment of your roof. 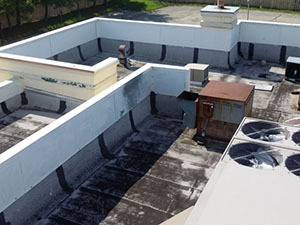 Flat roofs are not only durable and strong, they can last a long time when taken care of properly. In fact, you can expect your flat roof to last as long as 50 years if you schedule regular maintenance inspections and address minor repairs as they arise. Unfortunately, this is not always the case and sometimes, previous owners haven’t been consistent with upkeep or small repairs have been left until they become bigger issues. 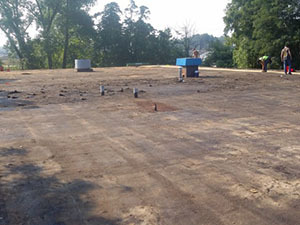 In these cases, flat roof replacement in West Mifflin, PA is often your only option. Some of the most common flat roof issues are leaks. You may also notice buckling or blistering of the membrane, tears or separation of seams, storm damage, or on occasion, just the typical signs of a roof that has actually served its owner well and has gotten old enough to need to be replaced. Oftentimes, at Capital Coating, we see a different scenario entirely, though. The client thinks that their roof is in terrible condition and needs to be replaced when, in actuality, it can be saved. It is estimated that as many as 70-80% of roofs are replaced prematurely. Capital Coating has many innovative solutions to roofing issues that may help extend the life of your current roof by as much as 10-15 more years. Roof restoration, repairs, or roof coating may be an affordable and time-saving alternative to flat roof replacement in West Mifflin, PA. The only way to find out if you need repairs, restoration or replacement is to give us a call today for your free flat roof evaluation. Capital Coating is a leader in the industry in Pennsylvania. We use top-quality roofing systems and we have a 20+ year service record in repair, restoration, and replacement of flat roofs. Our professionally trained technicians and warranty options will give you the peace of mind to trust your flat roof to Capital Coating. Call us today at (717) 442-0979. We proudly offer quality service, superior attention to detail, and high-grade products to property owners and managers of industrial and commercial facilities in Pennsylvania, New Jersey, Delaware, and Maryland. Copyright © Capital Coating, Inc. All rights reserved. Designed by Top Roof Marketing.